Liechtenstein : When and where to go? The climate is rather mild in spite of its alpine situation, with wet winters and warm summers: the best periods to go to the country are the intervals, between April and June and then in September / October where the temperatures are pleasant because warmed by the Foehn. The capital Vaduz offers the visitor its princely castle: it dominates the city, and dates from the 12th century. It can not be visited because it is still inhabited by the princely family. Surrounded by vineyards, it is also bordered by a path that leads you to the Känzeli from where the view of the city and the valley is superb. In the city itself, art lovers will explore the Kunstmuseum Liechtenstein which, in addition to its astonishing architecture, offers a very beautiful collection of modern and contemporary art. The town of Triesenberg, which overlooks Vaduz, is worth seeing for its magnificent view over the Rhine valley, but also because of its old houses with balconies decorated with geraniums and its beautiful church with a dome shaped Of bulb. To visit also, the museum dedicated to a Swiss community arrived on site in the 13th century, the Walsers. In the south, you will discover the castle of Gutenberg, not far from Balzers: it was built more than 800 years ago and one can visit its domain. For lovers of hiking, the village of Balzers is a perfect starting point to the surrounding mountains. In the Voralberg massif you will be able to hike in summer, but also to practice skiing in winter, especially in the resort of Malbun, located at 1600 meters in height. The country has 400 km of hiking trails in total: you will inevitably find your happiness! Deer, chamois, pheasants, marmots, hermines, badgers for the first, primroses, orchids, edelweiss, larches, maples, linden trees, elms for the second. A valid ID is sufficient to enter the country. The current currency is the Swiss franc. 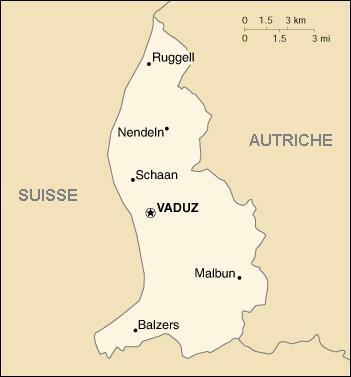 There is no airport in Liechtenstein, the closest (130 km from Vaduz) is Zurich, located 1h10 from Paris. Arriving in Zurich, we take a train then a bus to Vaduz, or we rent a car and we reach Vaduz by road in 1H45. In order to travel on the spot, the bus network is very convenient between the villages of the country, but one can also rent a car. Budget: Difficult to give precise figures but know that this country is among the most expensive in the world. You can hardly find a room at less than 100 € per night; As far as food is concerned, the choice is somewhat broader for the price ranges. Health: There is no mandatory vaccine. Medical equipment is of good quality. Security: there is nothing to report from this point of view for this country. Shopping: You can bring back souvenirs of wine, hand-painted pottery and ceramics, or Balzner marble objects.